Within the Jonang Tradition there are a treasure trove of practices designed to help you achieve realisations on the Kalachakra Path. In an effort to transmit this rich lineage to the world, we have compiled here a selection of practice texts which you can use to familiarise yourself with different aspects of the path. These prayers should be recited at the start of the first session in multi-day events. You can use the “Short Prayers for Requesting Teachings” in subsequent sessions. These prayers can be recited at the start of a practice session or as a way of requesting the teachings. Use these prayers to dedicate the merit at the end of any teaching or practice session. Praises and aspirations to the Eight Buddhas, Eight Bodhisattvas, Eight Dakinis and Eight Guardians to experience auspicious conditions in order to accomplish all of one's own and other's aims. Verses honouring the extraordinary life of Shakyamuni Buddha. This is a seven limbed prayer offered to the sublime realm of Shambhala. It can be used to familiarise yourself with the features of the realm and the lineage of Dharma Kings. These praises provide a summary of all of the deities in the complete Body, Speech and Mind mandalas of Glorious Kalachakra. It can be used to familiarise yourself with each deity in preparation for working with larger sadhanas. These praises invoke the blessings of the wrathful form of Kalachakra as embodied by Vajravega and the six sets of ten retinue deities. A short practice for strengthening your connection with Buddha Shakyamuni while creating the causes for enlightenment. A simple and unelaborate way to practice the visualisation and recitation of the six-syllable mantra of the Noble Bodhisattva Avalokiteshvara. A short practice for clearing negative karma in relation to the pratimoksha, bodhisattva and tantric vows. 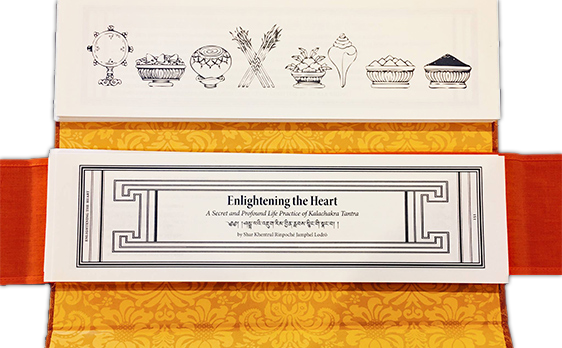 An introductory practice suitable for training in the essence of Kalachakra—the heart of ultimate love and compassion; while also strengthening your karmic connection to the Sublime Realm of Shambhala. A complete daily practice with extended visualisations written for the benefit of Western students. This text can be used as an alternative to practicing the Divine Ladder. A short guru-yoga practice in accordance with the oral tradition of the Six Vajra Yogas of Glorious Kalachakra. The traditional practice manual which has been used for hundreds of years to cultivate the common and uncommon preliminaries of the profound Vajra Yoga Path. A short guru-yoga practice emphasizing the pervasive qualities of the absolute guru in accordance with the Jonang tradition of Kalachakra. A very concise sadhana that focus on the non-dual nature of Kalachakra as the unification of all deities. The essential practice of Innate Kalachakra emphasises the inseparable union of immutable bliss and empty-form in the aspect of Kalachakra and Vishvamata. 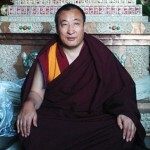 The short and long name mantras which can be recited to strengthen one's connection with Khentrul Rinpoché. A short prayer for the long life of Khentrul Rinpoché Jamphel Lödro and for the swift accomplishment of his many enlightened activities. Extensive supplications for the long life of Khentrul Rinpoché Jamphel Lodrö. 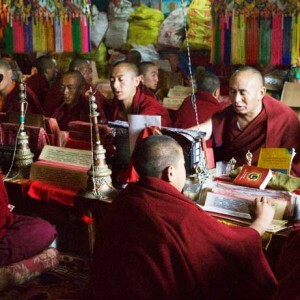 A series of supplications to be used to cultivate greater devotion to the Root Guru. A series of supplications that can be used to orient your mind towards the definitive meaning of the Buddha's teachings. A series of supplications that can be used to develop mindfulness of the way the enlightened mind manifests in different levels of reality. An extensive offering ritual which creates the causes for the Guru to live a long and healthy life. This ritual for tantric feasts can be used to repair damaged samaya or for accumulating vast stores of merit. It is traditionally practiced at least once a month on the night of the full-moon. Aspirations detailing the many deeds done by the Buddha in order to cause the Dharma to flourish for a long time. Aspirations inspired by Bodhisattvas, the compassionate warriors who are dedicated to attaining enlightenment for the benefit of all sentient beings. Eight short verses containing profound pith instructions for clearing away the mind of self-cherishing. Aspirations to swiftly clear away all obscurations which prevent the realisation of the definitive meaning of the Great Middle Way. Aspirations to meet with the Dharma and have the opportunity to practice. Aspirations to never be separated from one's spiritual master in all your future lives. An aspiration prayer for the long life of all unbiased masters so that their teachings may flourish and bring lasting benefit to all sentient beings. Aspirations for the unique Dharma of the Jonang Tradition to flourish in this world. This extensive prayer of aspiration can be used to strengthen one's connection with the Sublime Realm of Shambhala, creating the causes to be born there in a future life. An aspiration to accomplish the profound path of Vajra Yoga suitable for daily recitation. These aspiration prayers should be used to develop greater awareness of the structure of the Kalachakra Path and to lay down propensities for actualising the Six Vajra Yogas. If you prefer printed versions of these practices you can find many of them compiled in the specially made Tibetan-style pratice books available on the Rimé Institute website.